this might be the perfect winter breakfast. 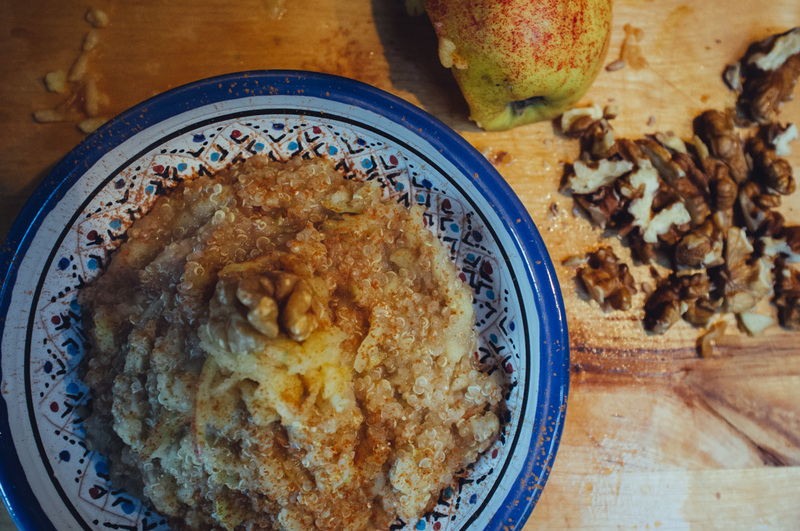 ginger an everyday superfood just hanging out in your fridge is antibacterial, antiviral, anti-inflammatory and is packed with vitamin C. this porridge is cold fighting perfection that, combined with the aroma of the cinnamon diminishes even the thickest of winter morning fogs. quinoa is a complete protein. it contains all eight essential amino acids that provide the body with the raw materials for growth and development. quinoa is a rich in B vitamins, essential for energy metabolism. Optional - drizzle of 'highbank orchard syrup' (this is an Irish organic apple syrup that gives the porridge an extra apple kick and sweetness). available from good whole food stores and online. - reduce the heat to a simmer and cook, stirring occasionally until quinoa is soft & water is evaporated (approximately 10 minutes). - distribute into two bowls and drizzle over the orchard syrup!